Chris Bosh’s Christmas sweater is better than your Christmas sweater. Heck, it’s better than everyone’s Christmas sweater. 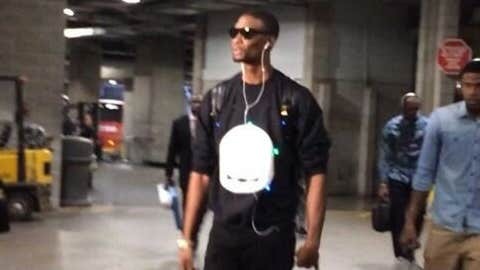 Chris Bosh with the Abominable Snowman light up sweater. Next level. If the NBA really cares, they let Chris Bosh play in that sweater today. If you saw Chris Bosh's XMAS sweater, you now know that he is the man who cares not what you think. Well done CB.